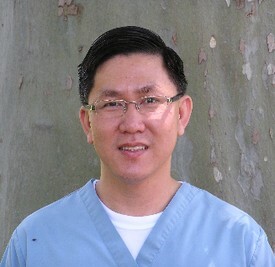 Dr Nguyen Joined Turlock Dental Arts in May 2004. He is a graduate of the University of California at Berkeley and attended dental school at the University of California at Los Angeles, receiving his doctorate in 2000. Dr. Nguyen is a member of both the California Dental Association and the American Dental Association. He has experience in all phases of dentistry and has completed his 2 year orthodontic training program for general dentists. When not providing dental care Dr. Nguyen enjoys traveling, listening to music, playing sports and doing community service. He is also fluent in Vietnamese.